Where is your web hosting service located? 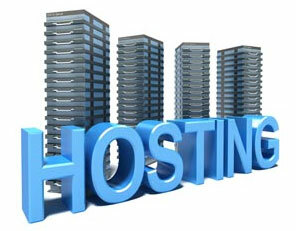 The geographical location of your hosting service is one of the factors in Google’s ranking algorithm. The idea behind this is that in theory at least it will enable Internet surfers to access more relevant local businesses to service their needs. The only problem with this is that if you use a web hosting service which is not compatible with your target audience, then your ranking will be at least in part influenced by a group of factors which are wholly irrelevant to your real target audience. This problem can be alleviated however by adding tags related to the location that your site is targeting. Do you have reliable and stable hosting? If your hosting is unreliable and is often down then this will adversely affect your rankings. The major search engines utilise robots or ‘bots’ to crawl through your site and assess your potential value and rankings. If at any point these bots are unable to access your content with any frequency then your webpages and perhaps your whole site will be flagged as unreliable. This is also the case when potential clients are unable to access your site through searches. This kind of unpredictable and unreliable access to your webpages will definitely adversely affect your rankings and placement in the major search engines especially Google and therefore it is essential that if there are are negative issues with your hosting then you get these solved immediately otherwise any other optimisation work you carry out would be a waste of time anyway. Are there spammers sharing your hosting with you? If your budget allows, it is preferable for your website to be hosted on a dedicated server which is not shared with any other party. The vast majority of sites, however, are on shared hosting simply because it is far more economical. The only difficulty here is that you could find yourself sharing your IP address with a spammer and this could adversely affect the way that your site is viewed by Google and other major search engines who do not look kindly upon spammers. If this is the case with your website then it might not rank well despite your best search engine optimisation efforts. Dark Sea Web Design can provide unique IP addresses for sites hosted by ourselves which can avoid these negative scenarios.